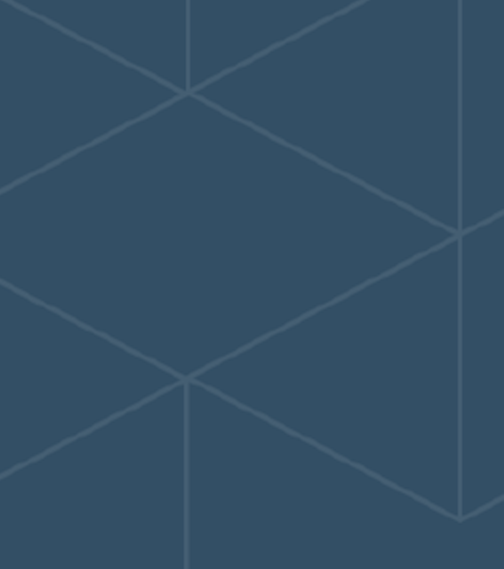 When we started Stowga, one of the first things we did was set about mapping the market. We needed to size both the supply (the warehouses) and the demand (businesses who store goods).We thought it would be an easy job to map the supply; surely a quick Google search would bring up a list of different websites that would tell us how many warehouses there are in the UK? There wasn’t one. Not one place could we find this information. So we rang every major player: all the big industrial agents; the industrial real estate funds, big and small; the research houses; the membership bodies. No- one could tell us how many warehouses there were in the UK. That information, we were told, simply didn’t exist in any coherent format. The problem is agents only research areas they can make fees on. Funds only know about their chosen field. Membership bodies only know who their members are. So we decided to build the database ourselves. The bulk of the information we needed to build that database is held by the Government, for legal and tax reasons. It’s a huge amount of information, held by the Valuations Office and the Land Registry, and it was our job to gather, clean and make sense of the data. The Land Registry records every property in the UK by its title number, and the Valuations Office classify the type. There are 14 different classifications for sites, and crunching the data gave us a total of 184,928 industrial properties in the UK. It all adds up to a total 2.1 billion square feet of warehouse space. If you take £5 per square foot as a rental figure, that’s a market worth £10.5bn in annual rent. *Rents range from £20 per square foot in Central London to £2.60 in Carlisle. Nationally, the average rent is £6.50. Yields range from 10% in Sterling for a mid-quality shed to 4.5% for a prime site in West London. The average prime yield at the time of writing was 6.4%, *the average nationally was 7.2%. 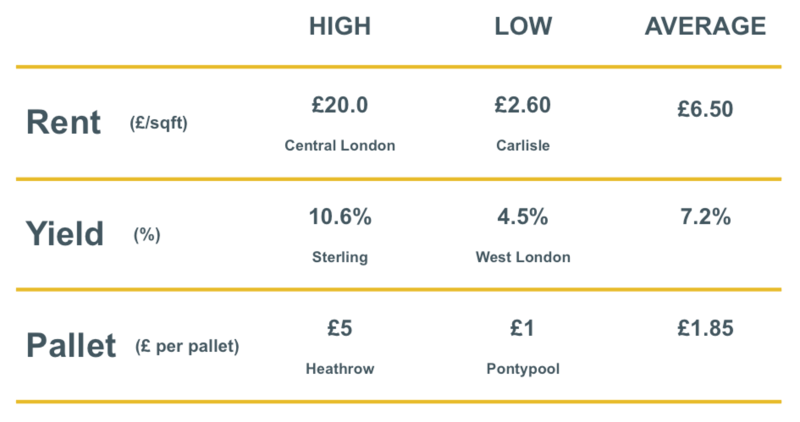 *Price per pallet ranges from £5 in Heathrow to £1 in Pontypool. The average across the country is £1.85 per pallet per week. Outdoor it’s £0.50 per pallet.